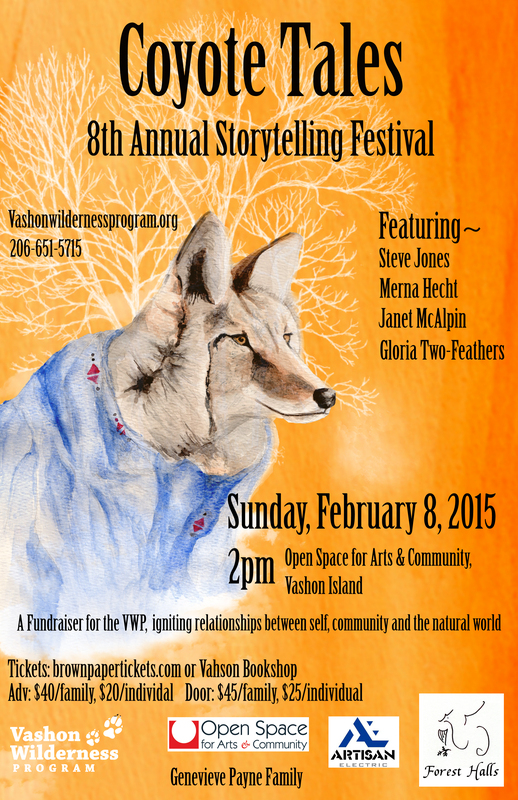 The 8th Annual Coyote Tales Storytelling Festival, hosted by the Vashon Wilderness Program was held at the Open Space for Arts & Community Theater on Vashon Island. 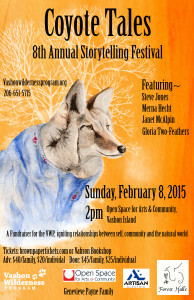 Vashon has a large community of family and friends that volunteered to make this a successful event. Many of them donated homemade baked goods and drinks. These complimentary desserts were served during intermission. I was the last in the lineup of four tellers. The first story I told was The Standing Nation an original story I wrote a few years ago. This story is influenced by the timeless wisdom of Native American myth that highlights our relationship to all living things. It’s about clear cutting our forest and how a Great Grandmother Tree survives and repopulates the forest. The refrain “And the Earth traveled around the Sun” is accompanied by drumming. I invited the audience to join me at each refrain. Both children and adults were excited to join in. After the show several of the adults told me how much they enjoyed the story. They expressed how they felt the heart connection to the Standing Nation, the trees and were moved to tears. My second story was Coyote and the Monster. The opening lines are “Most people know that Coyote is a Trickster but not everyone knows he’s shape shifter. And he can appear at anytime and anyplace”. That’s the moment the transformation began. Everyone was spellbound when Coyote appeared and became the storyteller. The Great Trickster began to weave his magic and had everyone laughing and the children giggling in no time at all. At the close of the story Coyote sang ‘the song of his people’, offering a big Coyote howl. He was delighted to hear the audience of 250 children and adults all join in and howl along! What a fun celebration! Everybody enjoys a good story! 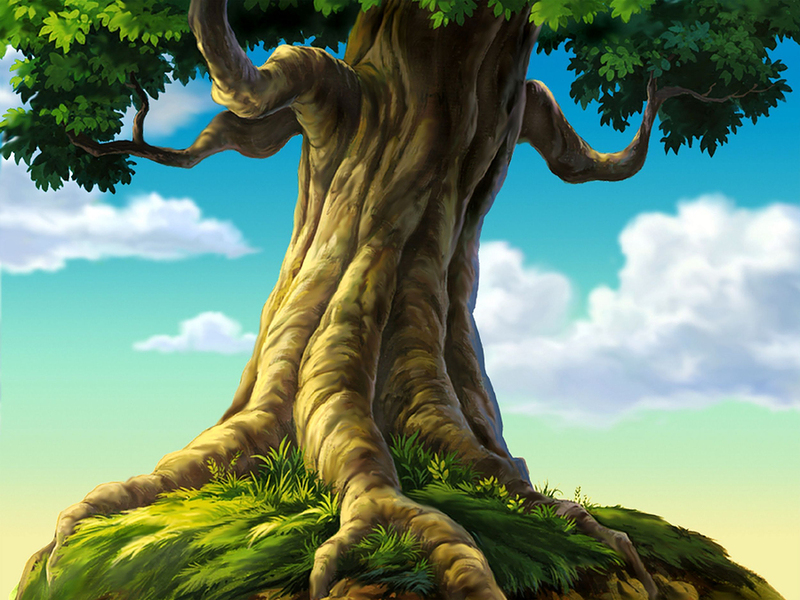 Great Grandmother Tree lives in the heart of the forest. 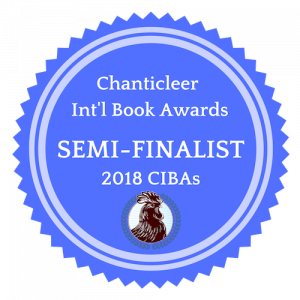 It is where Tallulah the Spider heads to find the answers on how to save her friend, Buck – and during the journey, she discovers so much more than she ever imagined.